The Kerala harvest festival of Onam fell on 14th September, this year. 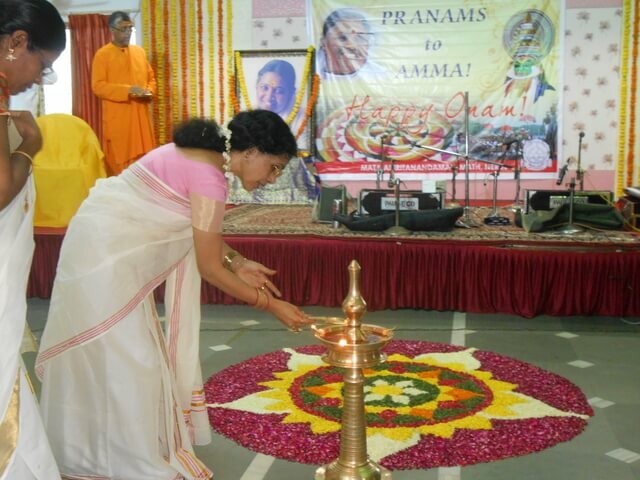 On the following Sunday, 18th September, the festival was celebrated in traditional style at the Mumbai Ashram. Onam symbolically depicts the legend of the asura King Mahabali and Vamana, the dwarf incarnation of Lord Vishnu. The story brings out the tale of the king’s ego and vanity being destroyed by Vamana, who demands land measuring merely three feet in charity. The legend is also a lesson in good governance as exemplified by Mahabali, who is believed to visit his subjects every year this time. The celebrations at the Mumbai Ashram began at 11 am, when devotees dressed in the traditional onakkodi gathered in the hall. The decorative pookkalam, adorned with flowers was enhanced by the resplendent traditional lamp. As an audio-visual presenting the facets of the festival was played on a large screen, devotee children turned up in Mahabali and Vamana costumes. 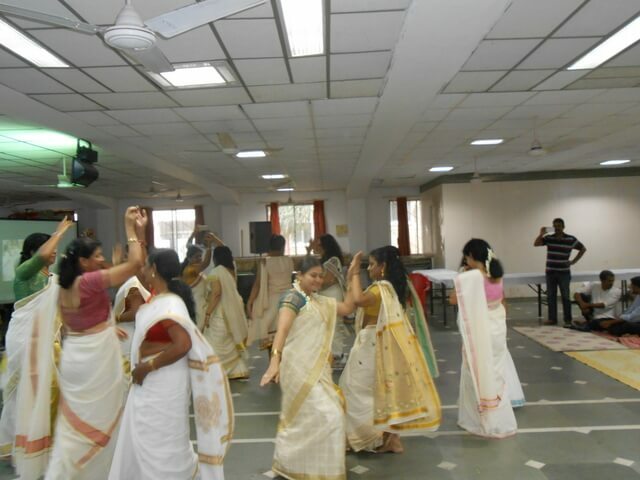 A thiruvathira kai kotti kali(traditional dance) by women devotees transformed the venue into a veritable Kerala. The celebrative mood continued with a few recreational games,including musical chairs which saw enthusiastic participation by all present. A couple of motivational talks and some inspiring video clippings enthralled everyone. This was followed by the chanting of the Ashtotthram. 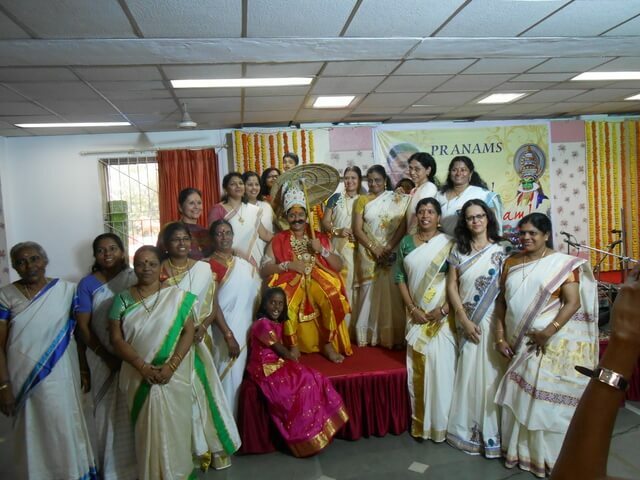 Then, Amma’s Onam message was read out, where She has extolled the essence of the festival- surrender of the ego, sacrifice, peace and harmony. 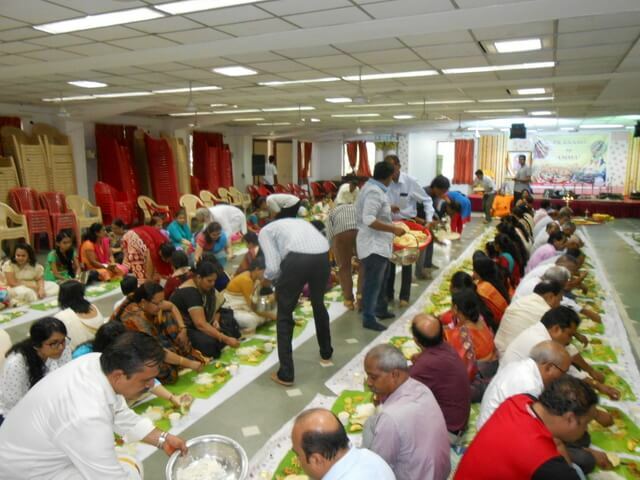 The grand finale was the traditional ‘Onasadhya’, the feast that served a large variety of delicacies on plantain leaves, and was relished by everyone present on this joyous occasion.